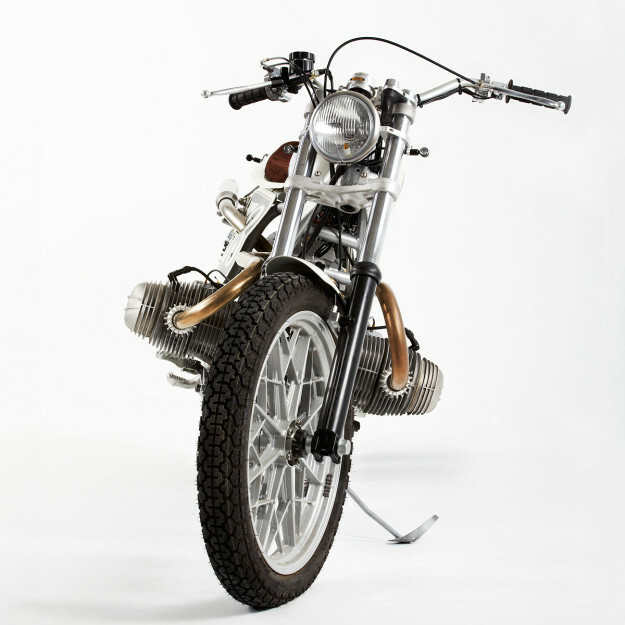 Karles Vives builds motorcycles with a purpose. When he’s not beavering away in his Barcelona workshop, he’s organizing Scram Africa, an exhilarating blast through the desert for owners of classic and custom bikes. Karles’ own BMW builds are designed to handle the rough stuff, but this one is a little different. 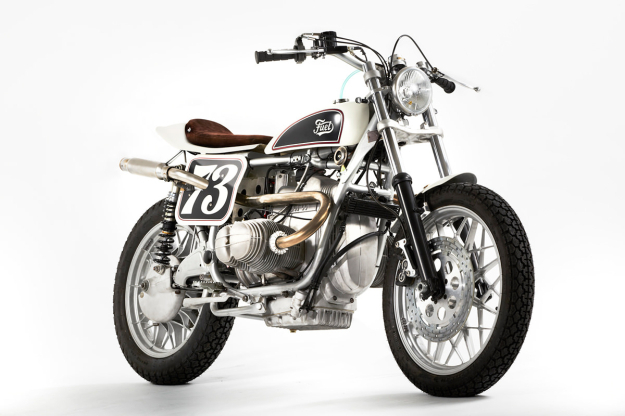 It’s a tracker rather than a scrambler, and was commissioned by a client from England. 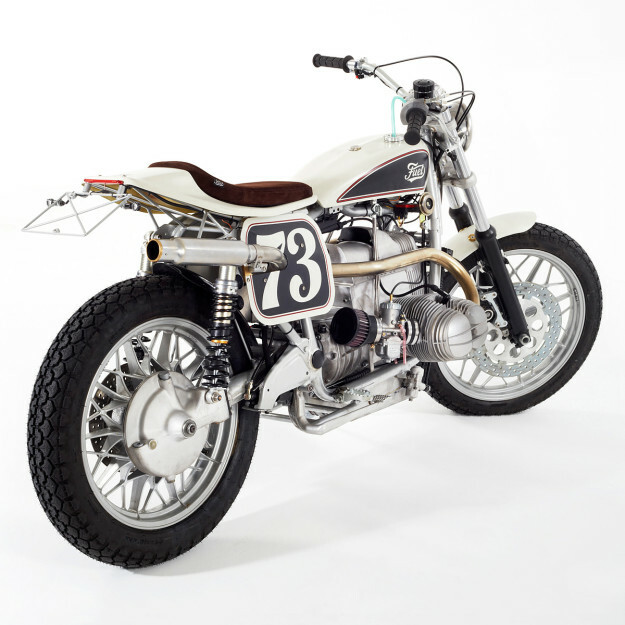 The Fuel Motorcycles crew worked on several designs, and Dave finally chose one with a dirt track influence. The concept had a compact tank, a solo seat, and a high exhaust pipe. And it was to be as simple and light as possible. The broken-down donor started life as a 1979 BMW R100 RS—a 70 hp ‘super sport’ with a lightweight fairing and a 200 km/h top speed. It had an excellent reputation in its day, but that didn’t stop Karles from increasing its abilities still further. He’s installed the forks and brake system from a BMW K75, Öhlins shocks, Mikuni carbs, K&N air filters, and a Fondseca quick-action throttle. 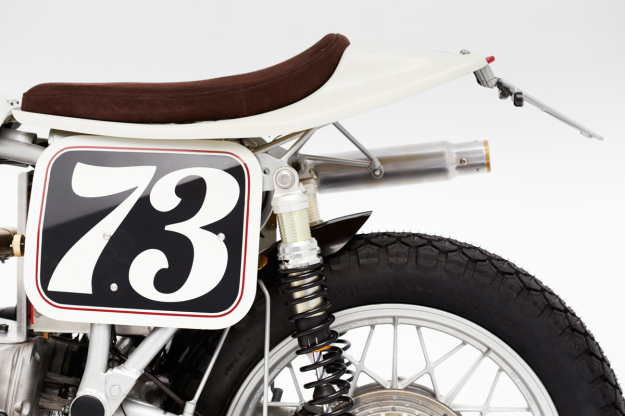 The handlebars are from LSL—fitted with Oury grips—and a Motogadget Motoscope Tiny analog speedo sits behind the Bates headlight. There’s a lot of custom fabrication too, from multiple brackets to the battery box and the rear frame. 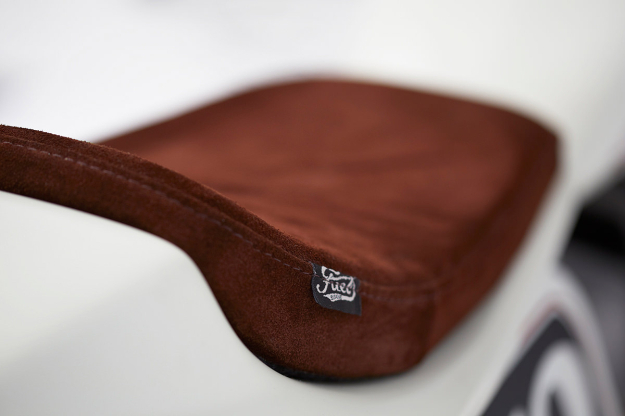 The classic high exhaust pipes are hand-made, as are the aluminum side panels. 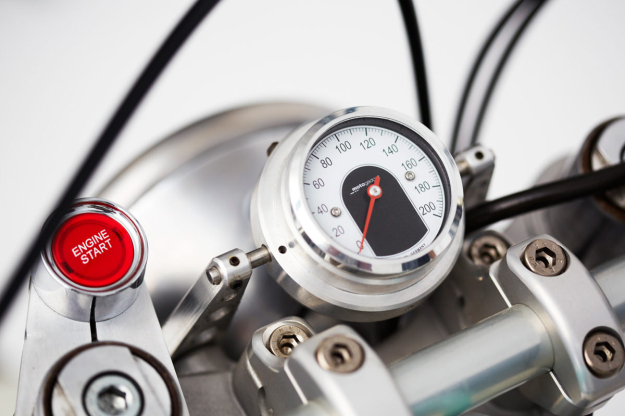 A particularly neat detail is the ignition system: there’s a key unit on the left side of the bike, but it starts with a button next to the speedometer. After five months of hard work, they’ve produced a machine to be proud of. BMW purists may scoff, but I reckon this BMW looks even better than the original. 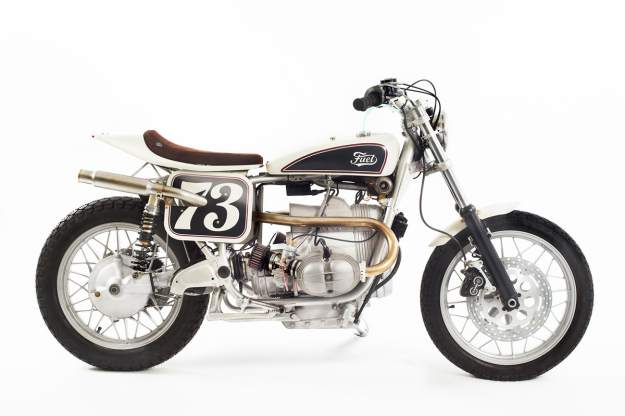 Visit the Fuel Bespoke Motorcycles website for more classy customs, and follow their news via the Fuel Facebook page. Images by Jordi Cortes.